A wiseguy with a thick new jersey accent that'll have you rolling in the aisles! You may recall seeing Joey Diaz, AKA 'Coco', gracing the small screen in hilarious TV shows like My Name Is Earl and Brooklyn 99 or perhaps in his big screen appearances alongside the likes of Sty Stallone and Robert De Niro (see boxing blockbuster Grudge Match), yet his humour is best appreciated in a live setting. That way you get to experience the funnyman's gift for animated and passionate storytelling first hand! Born in Havana, Cuba but raised in New Jersey, this plucky comedian first found his love for stand up during a short stint in a correctional facility. Upon his release his talent grew out of the grass roots open mic nights and pretty soon his rough-around-the-edges, visceral humour found fame in the starry streets of LA. Be advised, Diaz pulls no punches and is known for his energetic and often expletive-filled style. 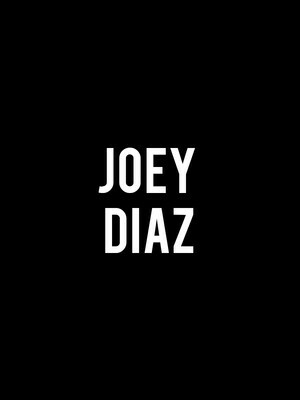 Seen Joey Diaz? Loved it? Hated it? Sound good to you? 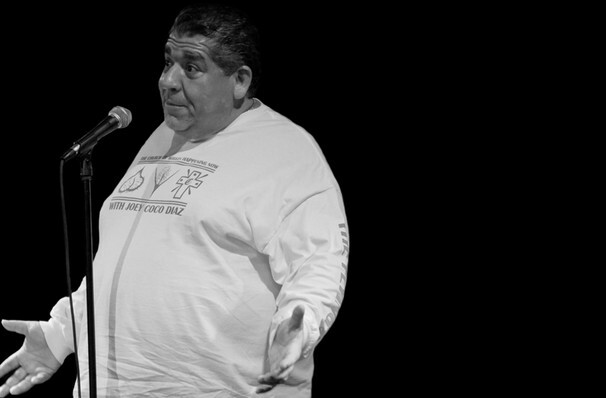 Share this page on social media and let your friends know about Joey Diaz at Tabernacle. Please note: The term Tabernacle and/or Joey Diaz as well as all associated graphics, logos, and/or other trademarks, tradenames or copyrights are the property of the Tabernacle and/or Joey Diaz and are used herein for factual descriptive purposes only. We are in no way associated with or authorized by the Tabernacle and/or Joey Diaz and neither that entity nor any of its affiliates have licensed or endorsed us to sell tickets, goods and or services in conjunction with their events.